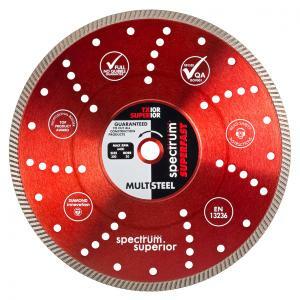 Guaranteed to cut all construction products including metal. Excellent fast cut universal & hard materials.Reinforced flange. Cooling holes. Semi-transparent.Applications include: granite, natural stone, clay products, engineering bricks, metal, concrete products, all building materials. Wear will increase on abrasive materials.